Garmin first waded into the GoPro dominated action cam market with the Virb Elite. It had several novel features including the ability to overlay ride data over your video, but it was ultimately considerably more bulky than the competition and topped out at 1080p resolution at 30fps – lower than the GoPro Hero 3. In a bid to improve what was already a good product Garmin’s second generation units appear to have undergone some radical design changes. The most striking of which is the shape, which has gone from being a rectangular torpedo shape to an upright box, more similar to the GoPro. Garmin have produced a video to demonstrate the new products. The shooting modes have been upgraded too. The VIRB XE (which is the higher specification of the two new VIRBs) can now go up to 1080p/60fps and 1440p/30fps. Although it is worth noting that this is lower than the GoPro Hero4 Black and Sony FDR-X1000V which can shoot at 4K/30fps and 1080p/120fps. The VIRB XE also features new slow motion options: 480p/240fps, and 720p/120fps. An important development, is that Garmin has now adopted the GoPro mounting system. This means that you will have very sturdy and varied mounting options with a large range of third party products available. An impressive feature is the water proofing, which Garmin is claiming can go as deep as 50m, without the need for an additional case. In this respect the unit trumps the GoPro, but we realise that going 50m underwater is not a requirement of many cyclists. Both the XE and X have WiFi, GPS, Bluetooth 4.0, an accelerometer, and full ANT+ connectivity. Addition of a gyroscope for increased motion sensor data collection. New photo burst modes (10 frames per second for VIRB X and 30 frames per second for VIRB XE). Ability to capture and overlay Garmin Vector Cycling Dynamics data. An improved microphone that works underwater. A dedicated button for taking photos. Mobile connectivity, with the ability to share videos/photos directly from Garmin VIRB app. Increased memory. Now 128GB micro-SD Support for 128GB. A claimed 2 hour battery life AT 1080p. Multiple cameras (up to 10) can be controlled from a single mobile app. 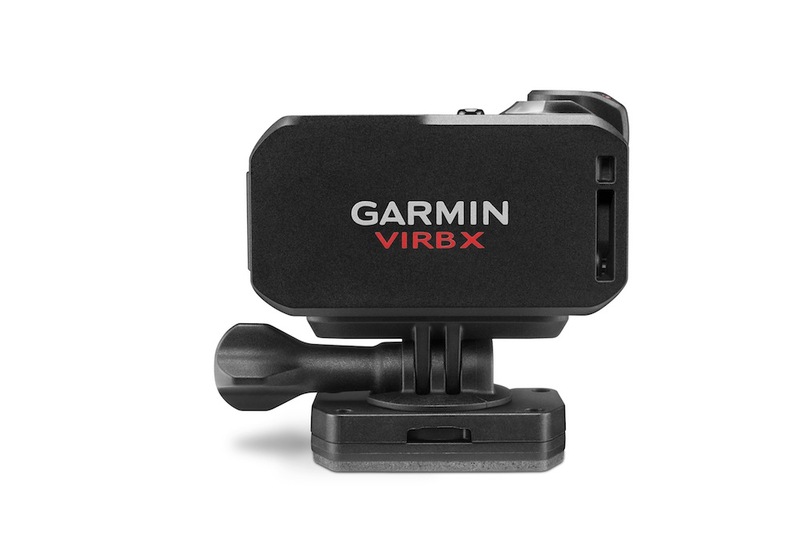 Garmin informs us that the availability of the VIRB X and XE will be summer 2015. The VIRB X will have an RRP of £239.99, and higher spec VIRB XE will have an RRP of £319.99. This will put the VIRB in competition withe the Hero 4 Silver, so we look forward to getting our hands on one to see how it measures up.